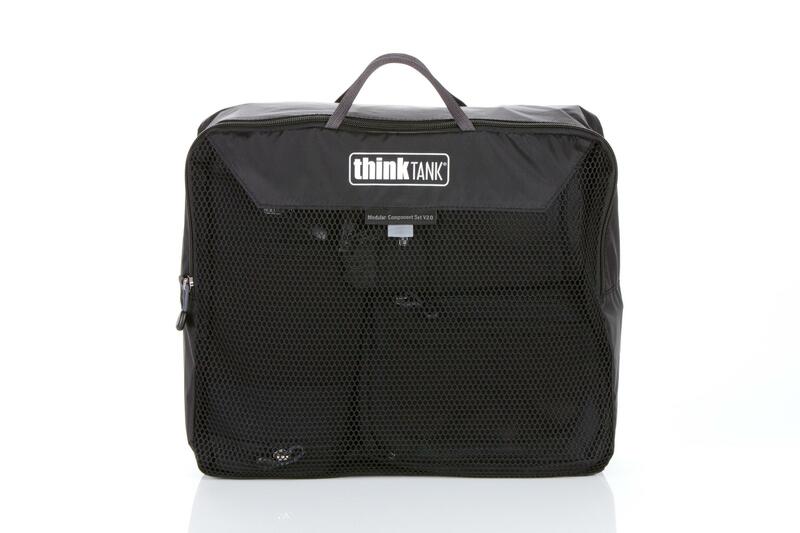 Modular™ Component Set contains four essential pouches for use with any Think Tank Photo belt: Lens Changer™ 50 V2.0, Lens Changer™ 75 Pop Down V2.0, Strobe Stuff™, Speed Changer™ V2.0 – along with a Large Travel Pouch. 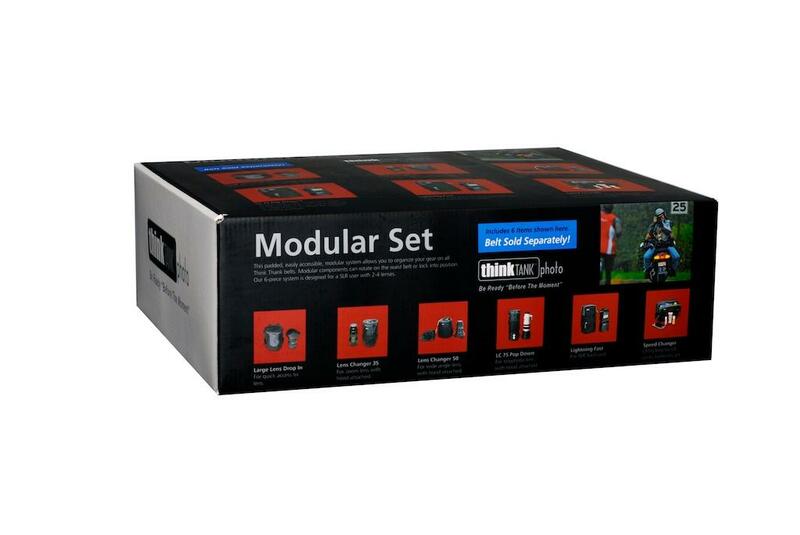 The Modular Rotation System is the choice working of professionals who shoot sports, weddings, nature or any situation where you need to stay mobile and rapid gear changes are essential. The Modular™ Component Set V2.0 consists of two individual lens changer pouches, a flash pouch and an accessory pouch that lock to or slide around any Think Tank Photo belt. Since the pouches are modular, the carrying system can be reconfigured to match any assignment, under any condition. Speed Changer™ V2.0 - Multiple use pouch that can fit a pro-sized camera body (lens not attached) with room for accessories. Can also be configured with the included dividers to carry small telephoto lenses, teleconverters, RF Transceivers, or pro-size batteries.